Can I purchase CardioView Dx as a suite or individual modalities as I need? Yes! You can purchase the entire suite or only the modalities your clinic needs and add more when appropriate. Can CardioView Dx communicate with my EHR? Yes! We have our own HL7 engine called EHRPipe that creates Windows Services to receive and transmit HL7 messages and/or files. Can you send Implantable Device Cardiac Observation (IDCO) results? Yes! We send out IDCO results based on ISO-IEEE 11073-10103 specifications. 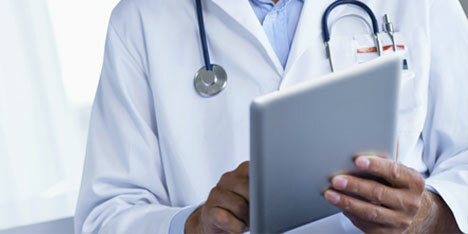 What triggers the patient report to go across the HL7 interface to the EHR? When a physician e-signs a report, results are automatically sent or, if preferred, manually exported. Where can I learn more about your HL7/EHR interface capabilities and processes? We’ve created a special FAQ page that should provide you with most of the details you’re seeking. How do I obtain the latest software update? If you're a customer seeking the latest version of CardioView Dx, just fill out this quick form and we'll follow up with you to coordinate your upgrade delivery.